As a teenager I struggled with terrible acne. Nothing I used cleared it for more than a week or two - not Proactiv, not Clearasil, not Neutrogena, NOTHING! Enter this past year where I'm absolutely fed up with the breakouts and hyper-pigmentation. I've always thought I had oily, resilient skin, but I actually have oily and SENSITIVE skin. 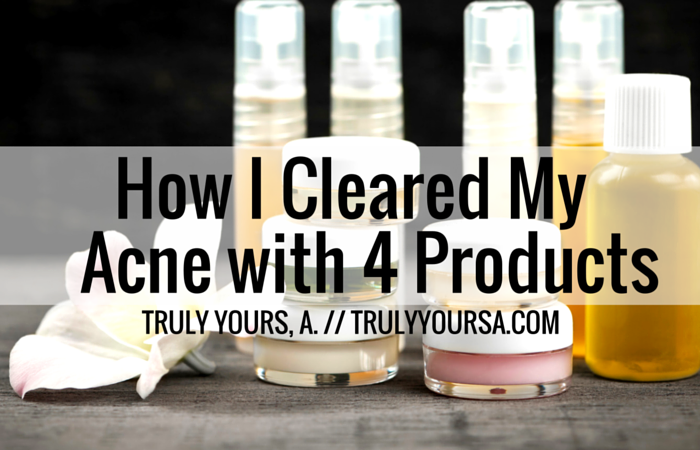 That meant all the chemical-ridden cleansers, brushes, and creams I had been using over time were actually too harsh for my skin. It took a while and a lot of experimenting, but I eventually came up with a skin care routine that has cleared my acne and greatly reduced the appearance of my dark marks! I've recently started wearing makeup for the first time in over 10 years and this skin-clearing routine has made foundation almost unnecessary. I could honestly go about my day with a little concealer or tinted moisturizer around my eyes. 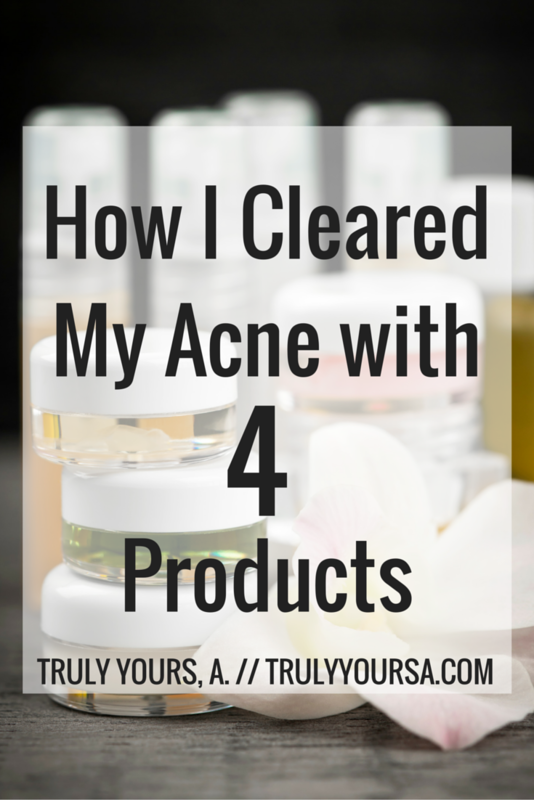 Keep reading to see how I cleared my acne with only 4 all-natural products! I finally settled on a simple, all-natural routine: cleansing my face with African Black Soap, toning afterward with aloe vera juice, and sealing in moisture with SheaMoisture 100% extra virgin coconut oil - all of which are natural products! 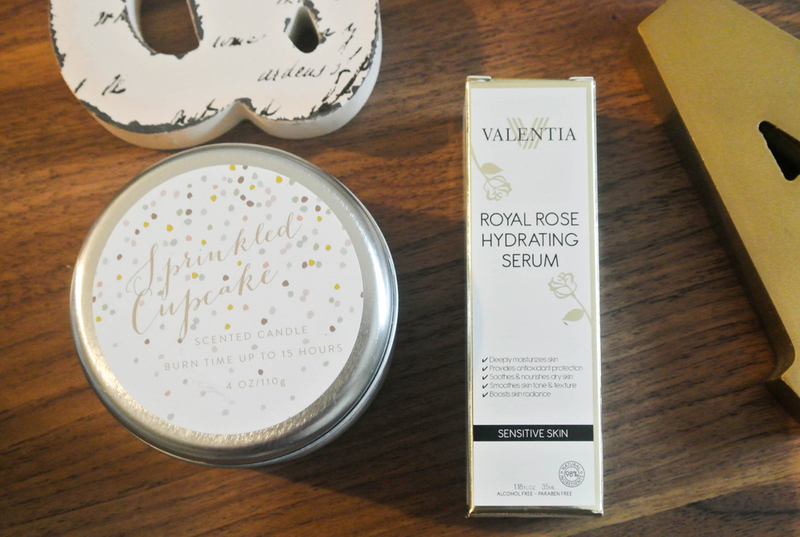 Natural skin care is still the name of the game for 2016, which means I'm occasionally using my Valentia products from my previous post. 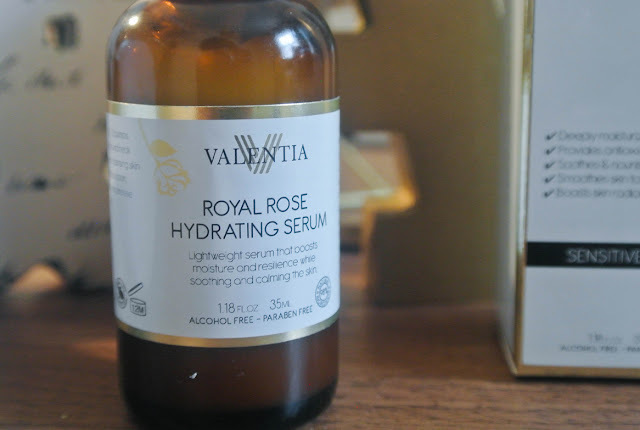 I recently added another Valentia item to my skin care arsenal that is now a permanent staple product - their Royal Rose Hydrating Serum. Moisturizing is such an important part of skin care and this lightweight serum boosts moisture in my skin while calming and soothing it. I use this serum every night after cleansing my face and the results have been amazing! Before I tell you the results, let me tell you about the ingredients. They are 98% all-natural, organic, and cruelty-free, all of which sold me on this product even before trying it out! 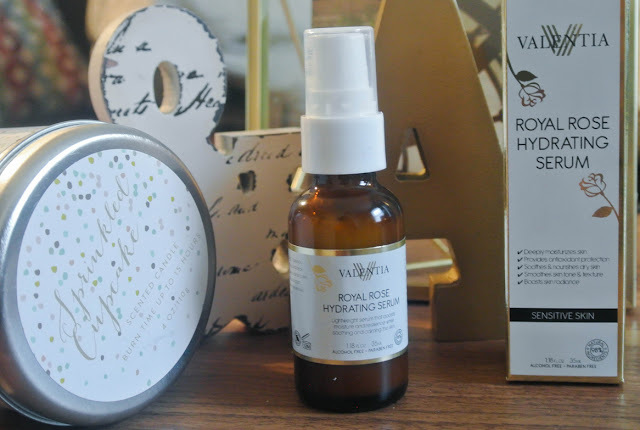 This hydrating and nourishing serum contains Rose Damascena - a nourishing natural oil that provides balance, moisture, and a variety of vitamins and minerals to the skin - Vitamin B, Rosehip Seed oil, Evening Primrose oil, Bearberry, and Lavender. My nighttime skin routine consists of washing my face with my black soap, lightly spritzing my face with aloe vera juice, and applying my Royal Rose Hydrating Serum. My skin is buttery soft right after I apply it and the next morning my skin is plump and still highly moisturized! I've been using this light, non-greasy cream for a week and my skin has never felt better. This serum smells like a fresh bouquet of roses and it's a great scent to help wind down before bed. As a special thank you to my readers, Valentia has offered a 20% code so you can buy your own bottle of Royal Rose Hydrating Serum and rave about it to all your friends. Use the code YOURST20 and thank me later!